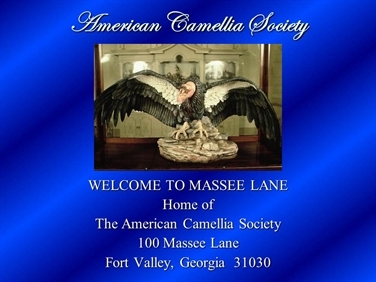 Massee Lane is all about flowers, all about camellias. More than 1000 camellia varieties are featured in the gardens, some as new as last year's registrations, others as old as the historical, traditional varieties. Every effort is made here to archive rare species and plants close to extinction, so that future generations will be able to enjoy them too. 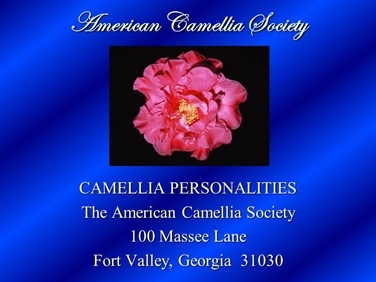 This presentation covers the history of camellias and their introduction into Europe in 1792 and the United States in 1820. Slides also cover flower form definitions with examples. This slide set is available due to the hard work of Jim Keeler of Tallahassee, Florida, who compiled this information. 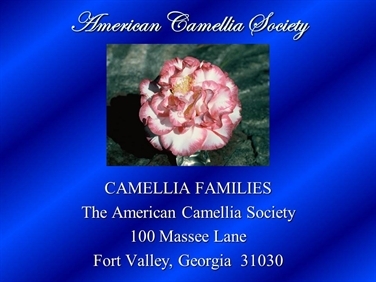 Dr. Keeler is very interested in the historical camellias, which he classifies as those over 50 years of age. 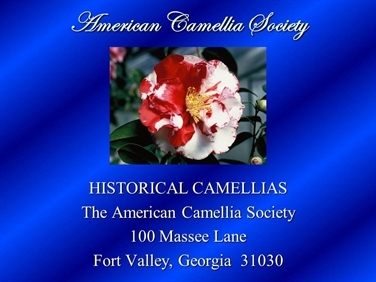 He has encouraged his local society to add a historical class to their camellia show and would be glad to assist other societies with this. In certain groups or families of plants, the appearance of a part of the plant with different physical characteristics from the rest is not uncommon. 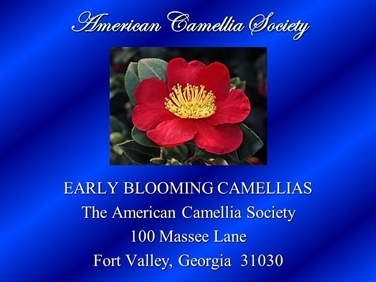 This slide set was designed to show the great variety of beautiful flowers found within the genus Camellia. Varieties have been grouped according to color. 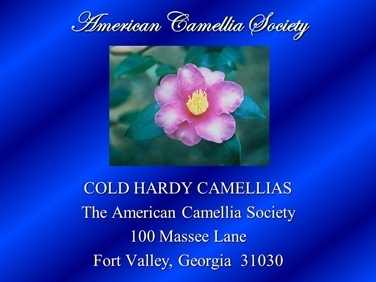 This presentation gives details on the varieties of camellias that can withstand cooler climate zones. Many camellia varieties begin blooming at the first hint of cooler weather. This slide show features sasanquas, japonicas and hybrids that bloom in the fall, some as early as the first of September. 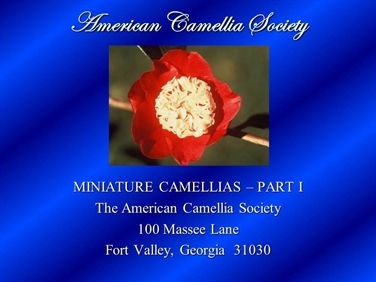 Miniature camellias measure 2.5 inches or less. These two presentations feature some of the most popular miniatures. 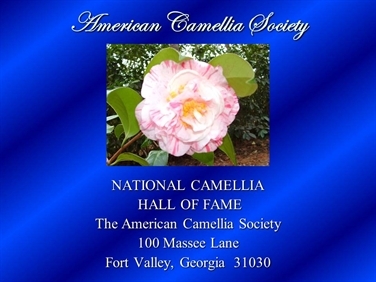 This award recognizes annually the Camellia japonica and Camellia hybrid of the genus Camellia which win the greatest number of Best in Show and Honor Court Awards in ACS Cooperative Shows during a camellia growing season. 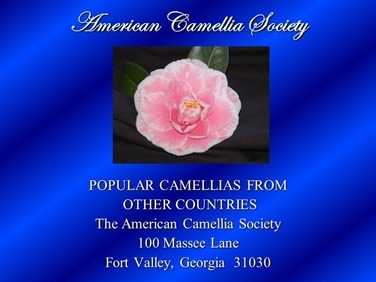 This presentation features camellias popular in New Zealand, Japan, Germany, United Kingdom, and Australia. 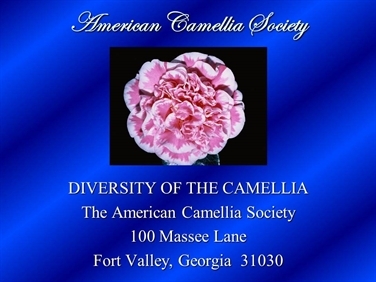 This presentation on hybridizing and the genealogy of camellias was developed by J.D. 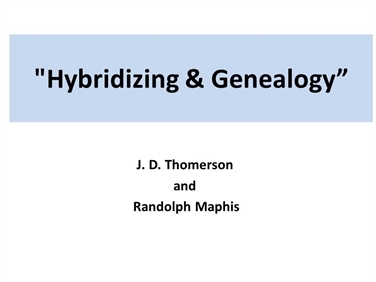 Thomerson and Randolph Maphis and delivered at the 2013 Atlantic Coast Camellia Society convention. 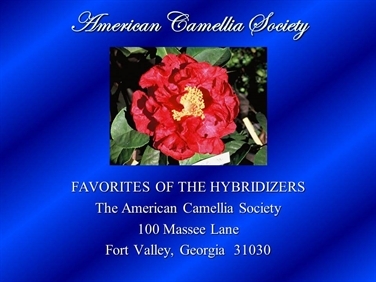 This slide show features comments of hybridizers who were asked which were their favorite camellias introduced and why. 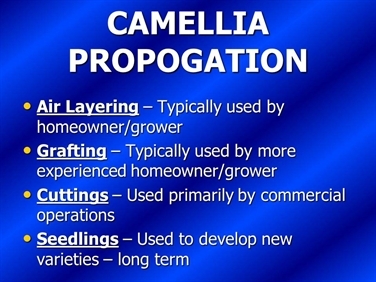 This presentation covers the basics of propagating camellias with air layering. Step by step instructions are included. 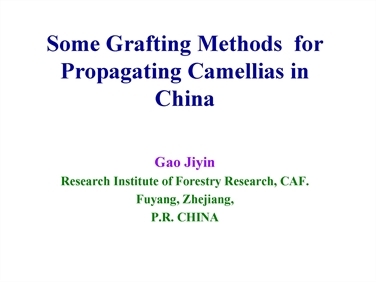 Presentation by Gao Jiyin of the Research Institute of Forestry Research, CAF., Fuyang, Zhejiang, P.R. China. 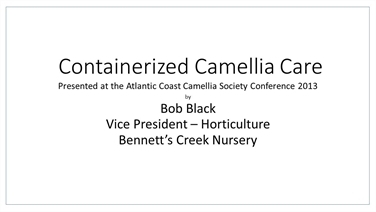 This two part presentation tells about the basics of caring for camellias in containers and introduces products that make it easy. 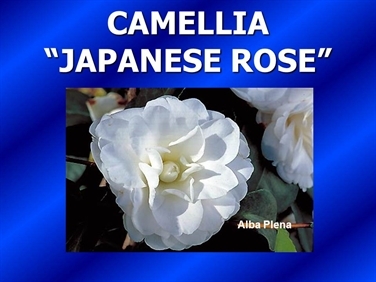 Many camellias are named for famous people and noteworthy characters. 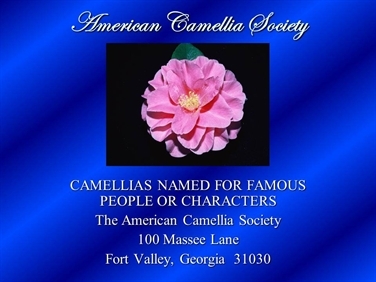 Camellias named for American Camellia Society Members. 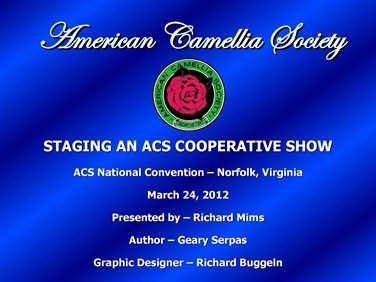 This slide show gives an overview of how to organize and stage a competitive camellia show.